Eric (pictured left) is 13 years old and lives with his mother and father in West Point. His mother sells plums, while his father works as a fisherman, trawling out of a wooden canoe with a group of men off the coast of Monrovia. Eric was in school until three years ago and reached 5th grade, but had to drop out when his parents were struggling to find work and didn’t have enough money to cover his fees. 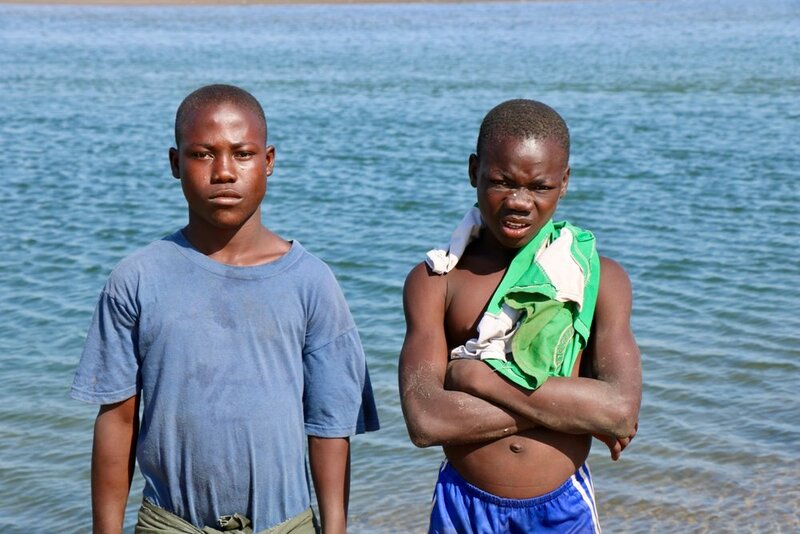 He is still too young to go out on the fishing boats, but he and his friend swim in the pools around the coast and catch fish with their bare hands. When their family is especially struggling, and there is no food, Eric’s friends help him catch something to eat. Eric says: ‘When I’m older, I want to be president, because I want to build my country and support my people to help them have better lives’.